PPUMC opens its doors for all kinds of activities sponsored by the church, neighborhood groups, and other organizations. Some church-sponsored events, like the Bazaar & Art Fair (held on the first Saturday of November) and the Easter Sunrise Service on Tower Hill are annual affairs eagerly anticipated by all. 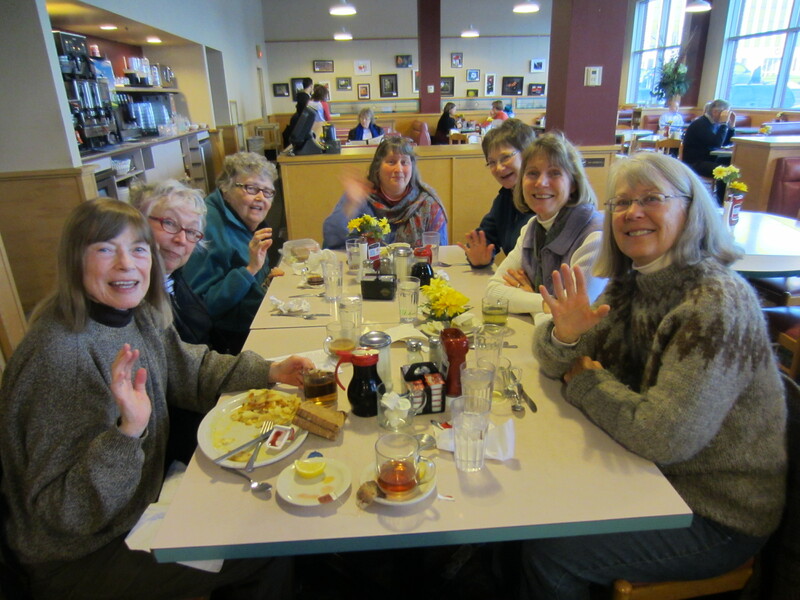 Other gatherings, such as the Fair Trade Sale, Wednesday Women (pictured below), the Men’s Group, and Spiritual Exploration are held or meet monthly. Please see the calendar below for all activities happening in our building. 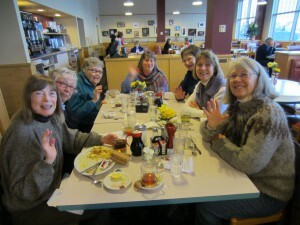 “Wednesday Women” meet monthly for breakfast. Click on an event in the calendar to see more information about the event. Use the buttons at the top of the calendar to move backward or forward in time, print the calendar, or to view the display by Week, Month, or as a chronological list (Agenda) of events. Note: Our building is used by a wide variety of organizations that are not managed by our church office. This calendar includes the information we have about meetings in the church building, but may not reflect last-minute time or location changes. Please check directly with the sponsoring organization to confirm meeting dates and times.